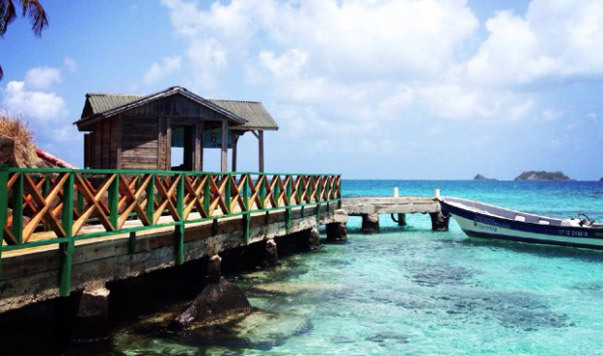 Haynes Cay located next to El Acuario is probably one of the most beautiful cays you can visit around San Andres. Haynes Cay is so small you can only fit about 50 people on the island at max. Visiting Haynes Cay will result in never wanting to leave again. The place has two tiny restaurants of which Bibi is awesome. 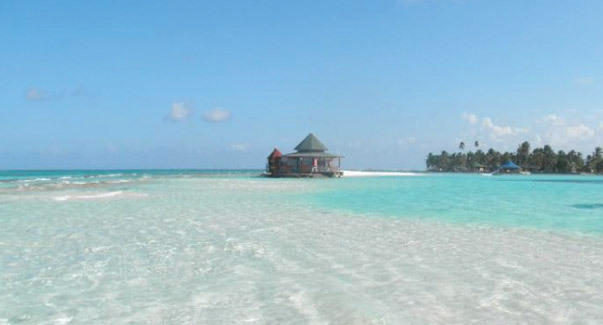 Haynes Cay is a great alternative to the overcrowded El Acuario sandbank right next to it. Haynes Cay has no beaches but does offer many iguanas’ that live in the palm trees and run around on the island. It also offers excellent snorkeling conditions between the rocky ocean floors surrounding the island. Bringing your water shoes is not such a bad idea. 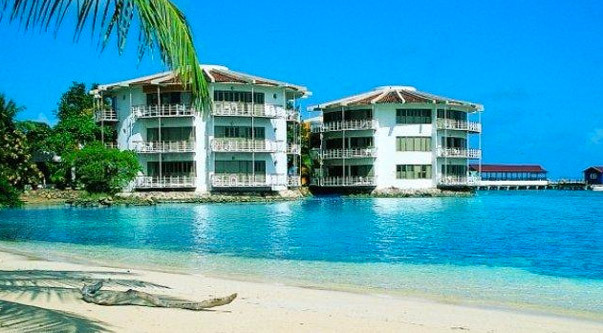 We think Haynes Cay is one of the best places to stay when there aren’t so many tourist on San Andres. 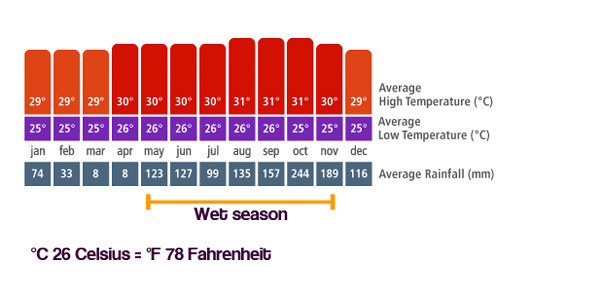 If it is high season better avoid the place! Getting to Haynes Cay can be a little bit more difficult then visiting other famous cays around San Andres. 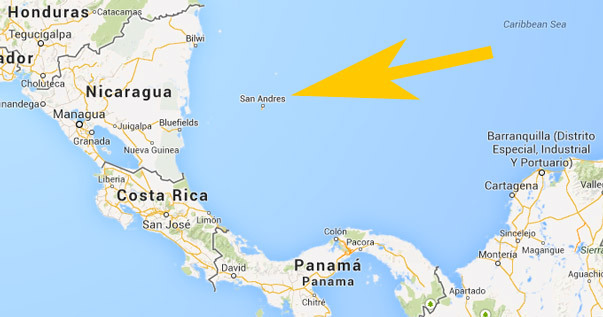 The easiest way is to find a tour operator in El Centro that brings you directly to Haynes Cay; this will cost you around 10.000 COP per person and 15 minutes in a boat. But there is a second alternative; you can reach Haynes Cay by swimming or walking from El Acuario, the sandbank right next to it. All the tour operators organize trips to El Acuario for around 10.000 COP per person. If you are lucky you can hitch a ride back with one of the restaurant owners to El Centro, thus this will cost you a fairly price of 10.000 Colombian Pesos.